George has resided in Windsor since 1996 with his wife Rachel. He was born and raised in East Los Angeles and received a Bachelor of Arts from the University of California, Berkeley; a Juris Doctorate from Empire College School of Law; an Administrative Credential from Sonoma State University; and a Masters in Governance from the California School Boards Association. Elected to the School Board in 2008, George believes in the School Board’s transparency and accountability to the Windsor Community. He believes that all children have the right to a quality and meaningful education in Windsor Schools. George has a keen focus on helping to close the achievement gap for Latino Students in the District. 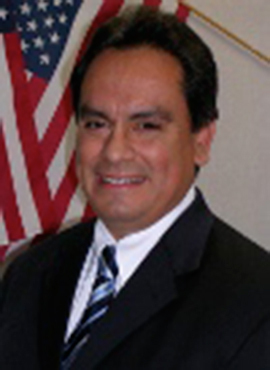 He has over twenty-five years of work experience in Education as: a Spanish Bilingual Teacher (Sonoma County; Mendocino County, Los Angeles County); and as a School Administrator (Sonoma County and Napa County). He has three sons: Adrian attends USF Law School (WHS Class of 2013), Jacob attends WHS (Class of 2020), and Elias attends CCLA. George is a current and/or past member of: Windsor PTA, Cali PTA, WE Foundation, and WHS Boosters (lifetime member). George is a licensed California Attorney since 2001 with extensive experience in the areas of: Estate Planning, Education Law, Employment Law/Human Resources, and Landlord-Tennant Issues.